AdoramaPix, a leader serving the needs of the photographic community for more than two decades, is honored to partner with Special Olympics and their other world-class partners in support of their shared vision to promote inclusion of people with intellectual disabilities. Brooklyn, NY, United States - January 28, 2019 /MarketersMedia/ — AdoramaPix, a leader serving the needs of the photographic community for more than two decades, is honored to stand with Special Olympics and their other world-class partners in support of their shared vision to promote inclusion of people with intellectual disabilities. 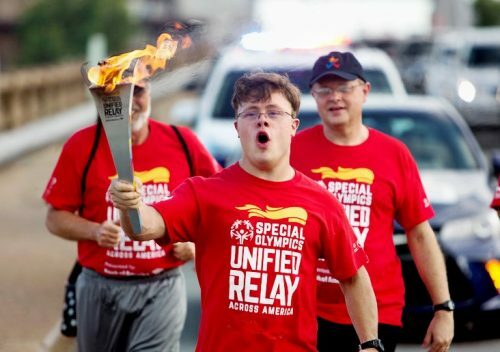 AdoramaPix pledges to support the Special Olympics movement through several initiatives with goals of raising awareness and donations from within the photography community. AdoramaPix will develop fundraising campaigns on a dedicated landing page on their website throughout the year that showcase our commitment to help Special Olympics deliver life-changing interventions that breakdown institutional, cultural and personal stigmas against those with intellectual disabilities. AdoramaPix will donate twenty percent of the sales from these campaigns to Special Olympics. In addition, AdoramaPix will support the “Celebrating Champions” campaign in July, 2019, which serves as Special Olympics signature awareness month to champion inclusion and celebrate people of all abilities on a global stage. AdoramaPix is a company with nearly 100 employees that represent many different nationalities, cultures and religions. Diversity and inclusion has been central to the success and vitality of AdoramaPix so the staff will get directly involved by donating their time to Special Olympics as volunteers. AdoramaPix will work with Special Olympics New York to identify appropriate volunteer opportunities.